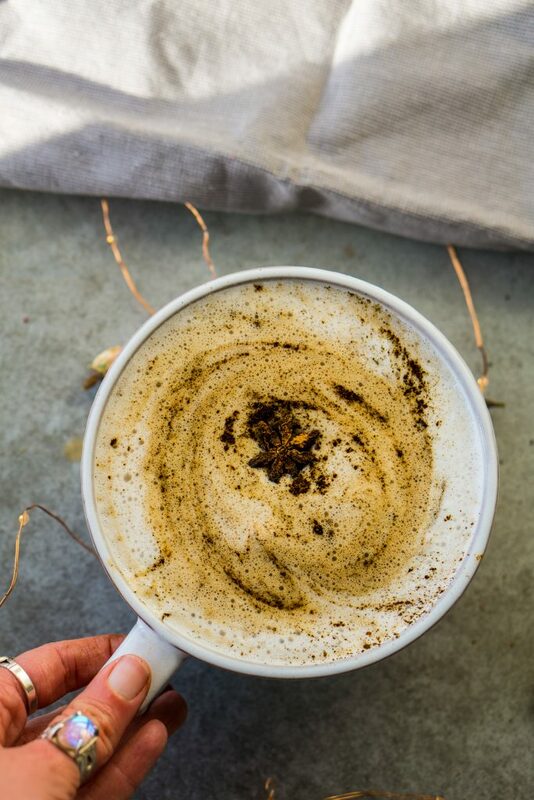 Chaga Chai Latte (paleo, keto, sugar-free & vegan options) is my go-to medicinal mushroom latte that I have ever made. I was deeply inspired by my friend Christy who runs a local small hand-crafted kombucha company here in Laguna Beach, CA. 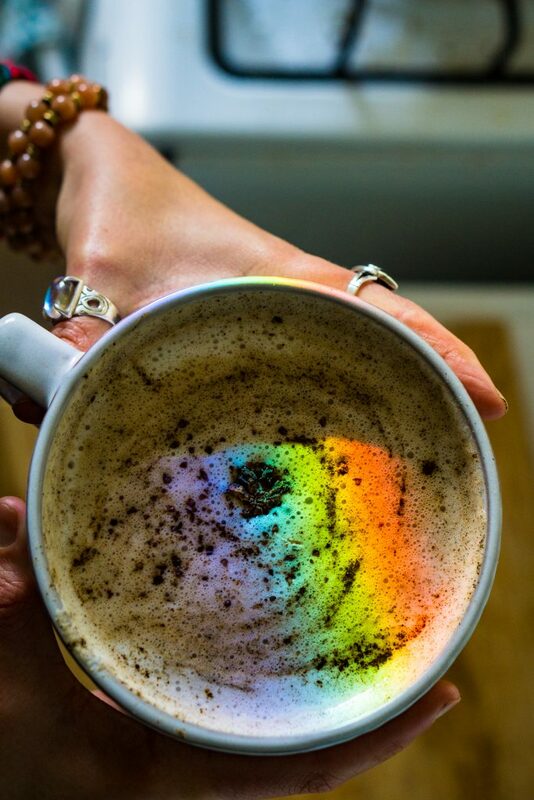 She comes up with the most amazing flavors and I couldn’t help but think about making a latte version of her Chaga Chai mix. 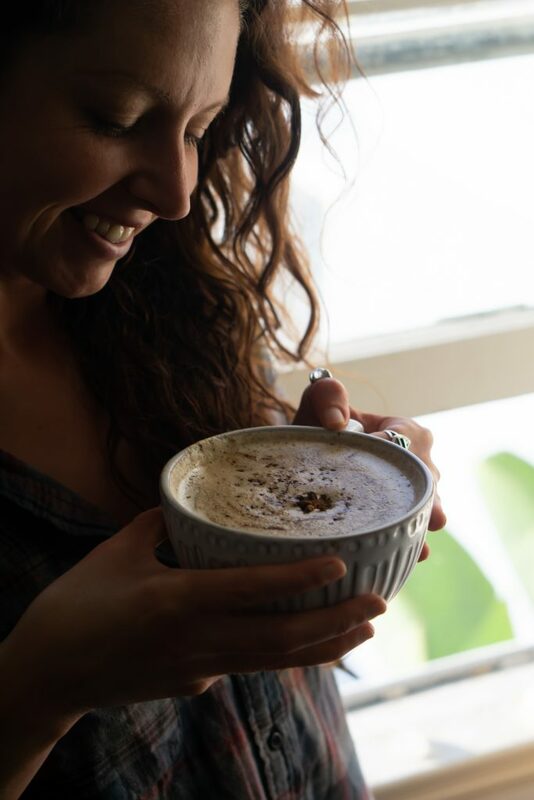 So here we are sharing this simple and super duper yummy and nourishing latte for you to try in your own home. Below I have listed just a few of the benefits of Chaga Mushrooms. According to the Memorial Sloan Cancer Center, “Laboratory and animal studies show that chaga can inhibit cancer progression. Studies in humans are needed.” In fact, in one study, tumor-bearing mice who supplemented with chaga extract experienced a 60 percent tumor size reduction. Meanwhile, mice with metastatic cancer (tumors spread to other parts of the body) had a 25 percent decrease in their number of nodules compared to the control group. Another study published in the World Journal of Gastroenterology looked at the effects of chaga mushroom on cancerous human liver cells. The research reveals that chaga extract may be able to prevent liver cancer cell growth, making it a potential treatment for cancer in the liver. In animal studies, chaga mushrooms have helped to boost the immune system by increasing the production of certain immune cells including interleukin 6 (IL-6) as well as T lymphocytes. These substances help to regulate the immune system and make sure that your body is fighting off any invading bacteria and viruses. Research has shown that chaga extracts can stimulate spleen lymphocytes, which can then have a direct positive effect on immune system function. Chaga mushroom appears to have anti-viral abilities when it comes to quite a few viruses. Scientific research published in 2015 found that extracts of chaga had an anti-viral affect on human immunodeficiency virus (HIV) type 1. Chaga has also been shown in animal studies to have anti-viral effects when it comes to the hepatitis C virus hepatitis C virus. Using animal cells, the researchers found that the chaga extract was able to decrease the infective properties of the hepatitis C virus by 100 fold in just 10 minutes. Studies continue, but it looks like chaga is a worthy candidate for use in the development of new anti-viral drugs. Chaga mushrooms have been shown to reduce inflammation. For example, an animal study has shown that chaga extract can reduce inflammation due to ulcerative colitis in animal subjects. Specifically, the researchers found that the anti-inflammatory effect of the chaga extract in the colon was due to chaga’s ability to suppress the expression of chemical mediators of inflammation. Why is this significant? Because the chemical mediators released during inflammation make inflammation that much more intense and also promote a continuation of the inflammatory response. In animal studies, chaga has significantly improved physical endurance. One study published in 2015 found that when mice were given chaga mushroom polysaccharides the mice were able to swim longer, the glycogen (fuel) content of both muscles and liver increased while lactic acid levels in the bloodstream decreased. Put that all together and it’s a recipe for less fatigue and better endurance. 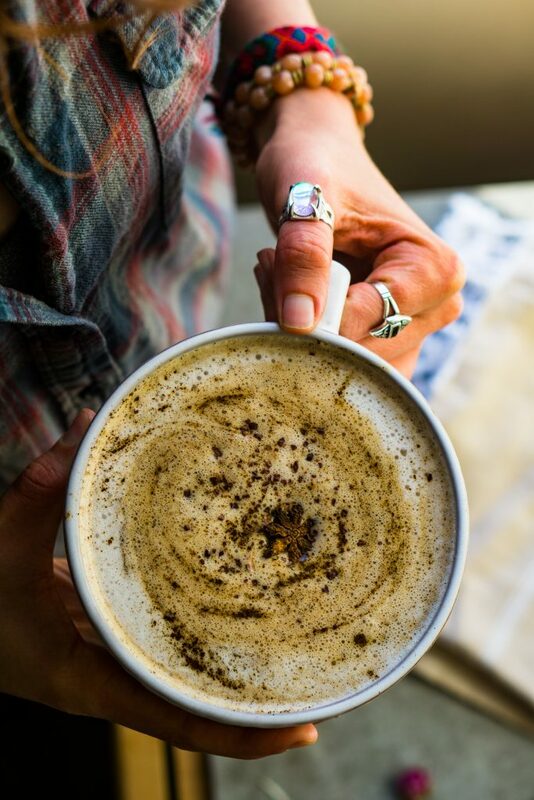 If you are not sugar-free go ahead and use honey or maple syrup to sweeten your latte. warm your almond milk to a slight boil in a pot. to get the extra foamy milk mix in the collagen peptides with a milk frother. add in the coconut butter, chaga, and chai powder and froth. add raw monk fruit if you want/need it to be sweeter.